32 oz. 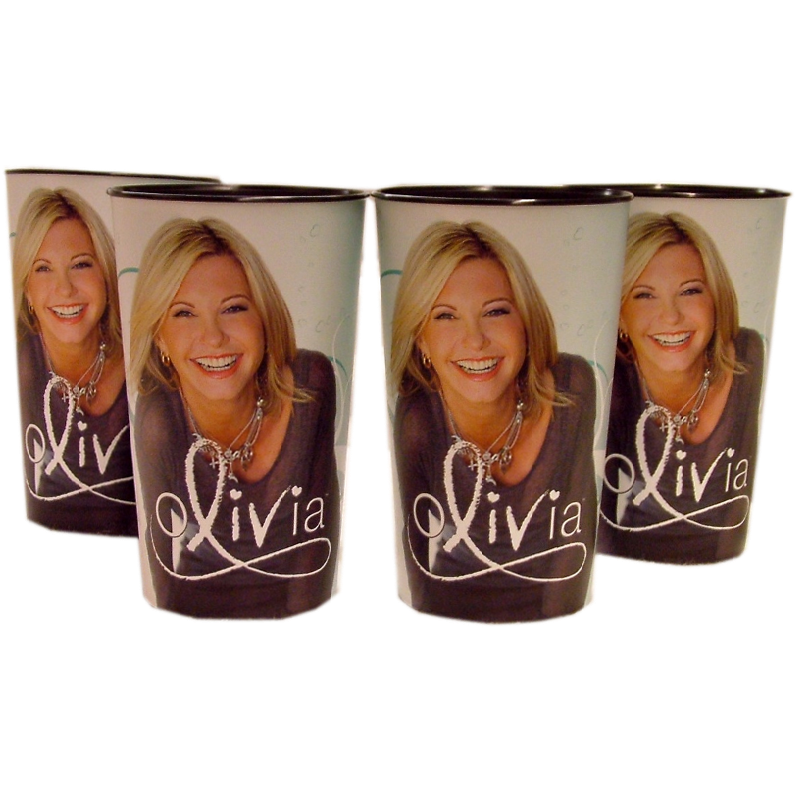 dishwasher safe, Olivia Newton-John stadium cup set! Set of 4 for $20.00. Nice, heavy duty 32 oz. stadium cups with beautiful full color photo of Olivia on both sides. © 2016 Olivia Newton-John. All Rights Reserved.